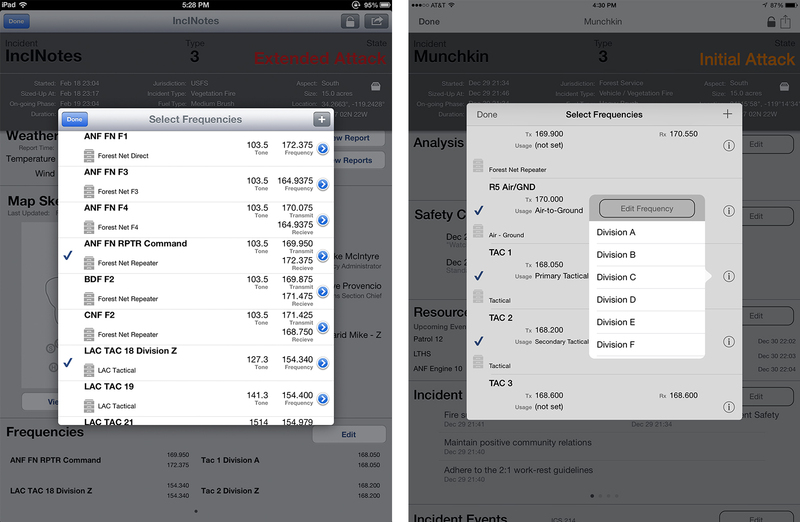 InciNotes™ - Incident Action Plan Operational Objectives, Incident Action Plan. IAP. 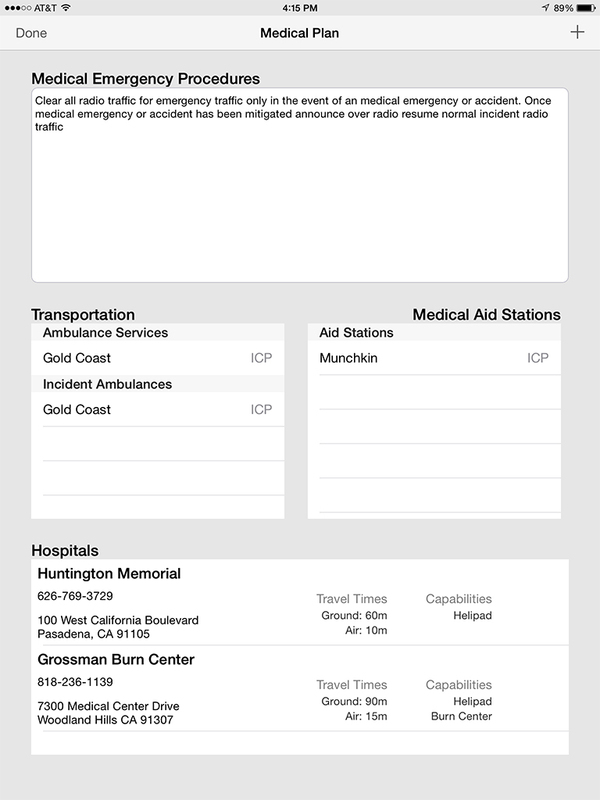 New InciNotes™ Enhancements Version 1.3 of InciNotes™ brings powerful new features, including: create an Incident Action Plan (IAP) in real time and distribute it to anyone in seconds, or print it using any AirPrint compatible printer; creating a Medical Plan including emergency procedures, ambulances, hospitals and more; download any Spot Weather Forecast into an incident and attach it directly to an IAP; a redesigned Command Structure interface for documenting the entire Org Chart; and many more. 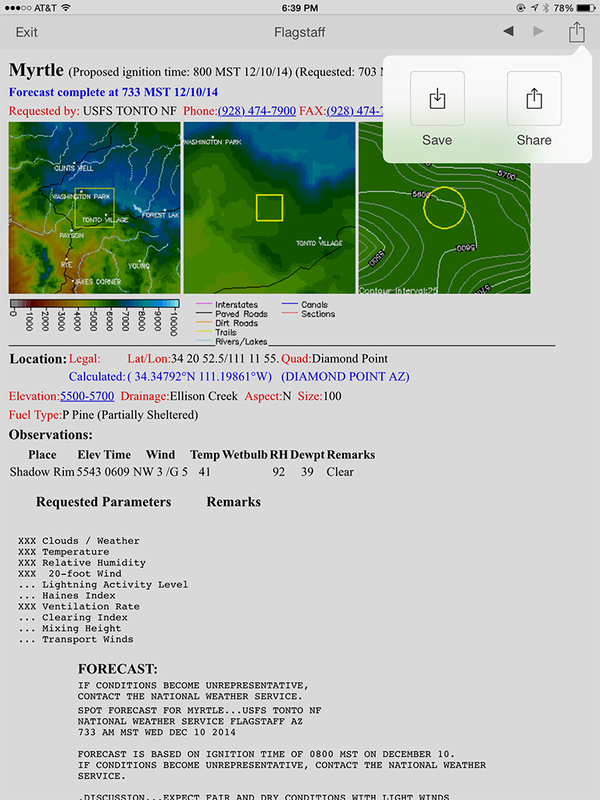 This adds to an already list of impressive features, providing comprehensive ICS 201 & ICS 214 documentation tools: Real- Time Weather reports; Spot Weather Forecasts directly from the National Weather Service; Resource Tracking, including logging briefing times, division assignments, and more; Map Sketching overlaid on Apple’s iOS Maps, providing a spatial view of the Incident’s perimeter, division locations, and other points-of-Interest; Custom Checklists to suit any mission or situation; One-Touch Incident Transfers from one iPad to another; and many other exciting features. 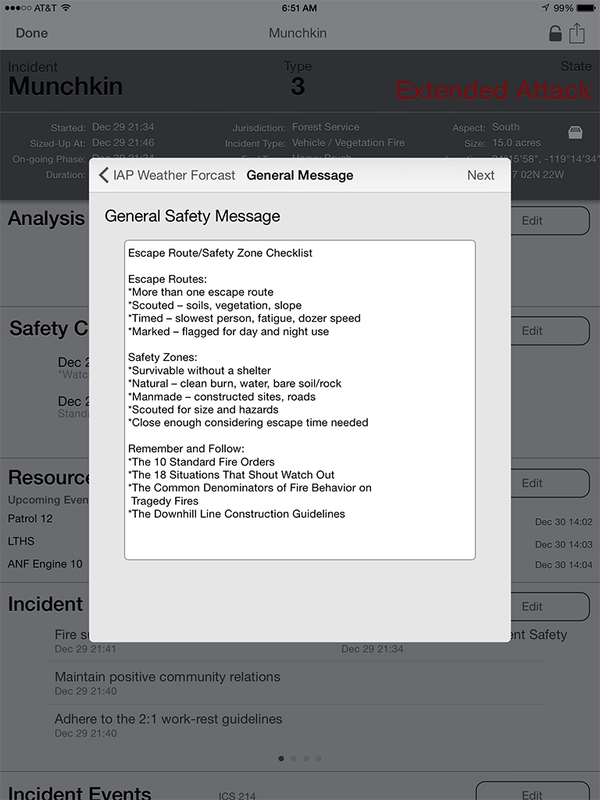 The Incident Frequency Screen allows the Incident Commander to select the Frequencies that have been assigned to his or her incident. Just click on the frequency you want to add and it will put the frequency on the Operational Snapshot screen. 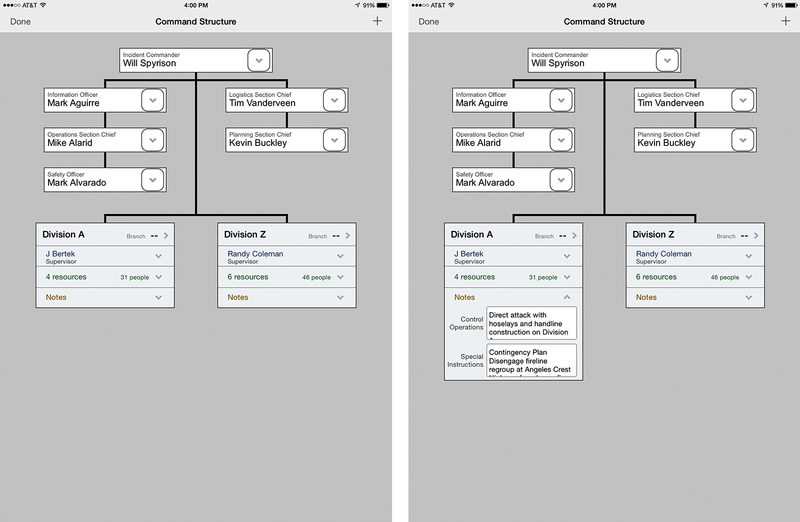 The Edit Frequency Screen allows the Incident Commander to assign a frequency to a Division on the incident. 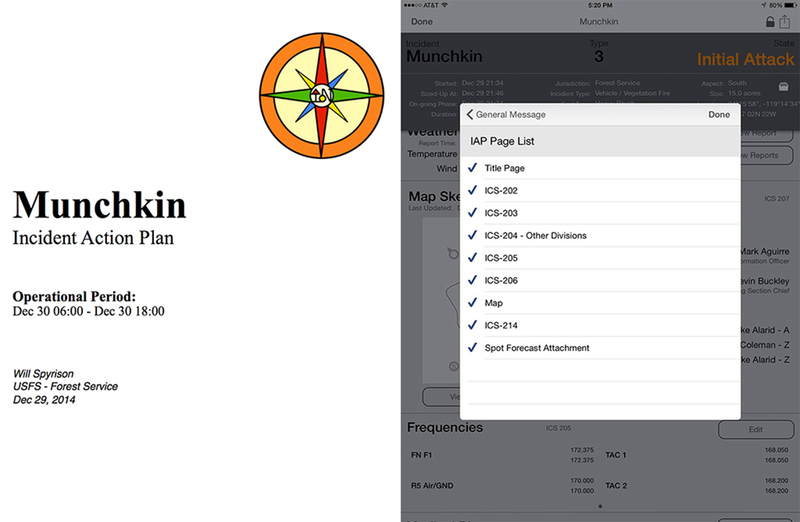 Once a frequency is assigned to a Division and the Incident Commander creates an Incident Action Plan the frequency will be inputted on to the ICS 204’s and will be listed on the ICS 205 Communication Plan of the Incident Action Plan. 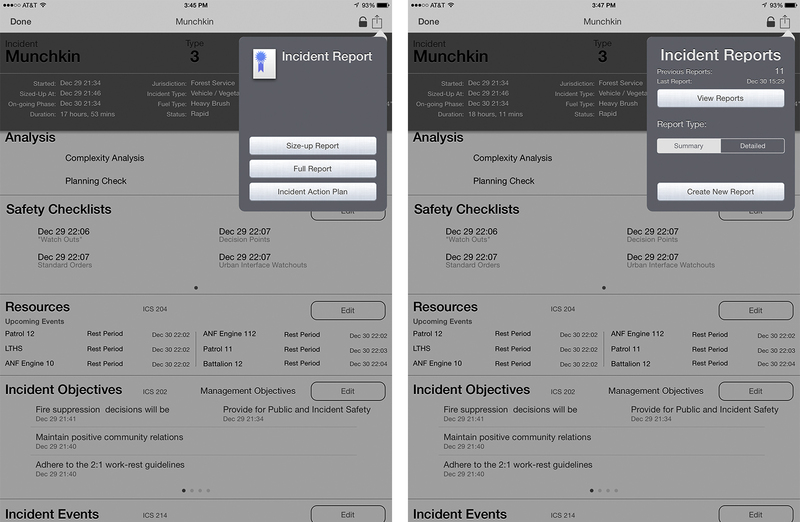 Incident Action Plan button can be clicked on this takes the Incident Commander to the screen where he or she can create an Incident Action Plan and guides them through the process of creating a Incident Action Plan. 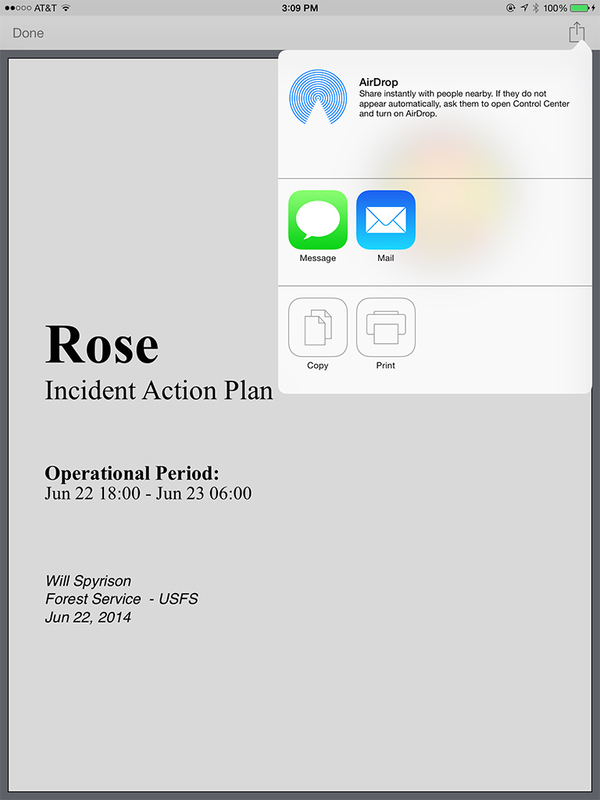 Once all the data that is required for the Incident Action Plan has been inputted you will see this checklist showing that the Incident Action Plan is completed. 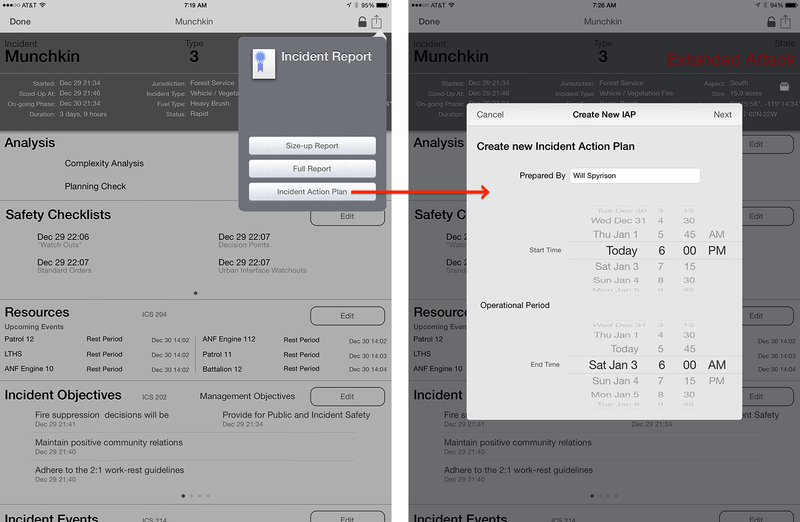 This window allows the Incident Commander to message, email, copy and print reports and the Incident Action Plan.